We have share some wellon transformer reviews, if you want to learn more detail, please go to the E-CIGs VIDEO GUIDING. 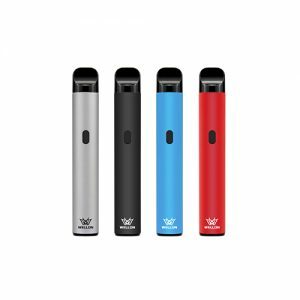 This post is Honest TEXT Wellon Transformer Tank Review source from majorvapes. It is however the first subohm tank that I’ve seen that has middle airflow. I’ve noticed with nearly every top airflow tank that I’ve used that they feel a bit airier. The air has to travel a short distance before reaching your coils so there’s always a very momentary delay before you start getting vapour. With the Transformer tank, it’s shorter and maybe a bit less noticeable. Aside from that the remainder of the tank is fairly standard when it comes to subohm tanks. At the top of the tank you’ve top a standard 510 drip tip that looks to be delrin but wasn’t listed. It’s heavily knurled so gripping it won’t be an issue and inside is protected against leaks by a thick silicone ring. One nice little feature I noticed is the threads of the top cap have little channels cut in to them to allow air to escape when closing the cap, that should prevent pressure causing a flood in your coil. After well over a dozen top ups I have yet to experience any mess from refilling. The middles section is where the airflow comes in to the tank, it’s got two wide cyclops style slots with an afc ring that slides from one end to the other with stops at either end. The air travels down to the coil via an outer tube then comes up through the coil and returns via the central tube to your mouth. The lower tank section also comes apart in case you need to change the glass or give it a good wash.
At the very bottom of the tank it’s bare without any branding, serial number or anything like that. It’s got a floating 510 pin that does protrude a little bit but I wouldn’t recommend using it on a hybrid. They remind me a bit of Cubis coils in their design. I started with the 0.5ohm coil which was rated from 20-40w, after priming it and firing it up I found the flavour on it was quite good for a subohm tank. The sweet spot for me was around 35w where it produced some nice thick clouds and good flavour. In case you were wondering I was running a fairly thick 80vg juice and it handled it just fine. I was a week in before I changed the coils and the 0.5 was still going strong at that point. I’m sure with the right juice I could have gone much longer with it but I needed to test out the 0.2ohm coil. The 0.2ohm coil which is rated from 20-50w performed very similarly to the 0.5 and in fact I found very little difference between the two but that could be for the fact that I was running that one around 40 watts, just 5w higher then I ran the 0.5. Break in time was extremely short and I was getting full flavour after just a few pulls. There are more shops want to increase the order e-cigarette wholesale from wellon. I should also mention that in the week+ I’ve been using this thing, not once did I experience any leaking. If you’re wondering what material the coils are made of, I seen it referenced in a preview that they are Nichrome but wasn’t able to confirm it anywhere. If you have any question about e-cigarette wholesale or vape101, please do not hesitate to ask wellon vape experts.